We are now in a position to start accepting donations to the Oaks Disaster Memorial Fund. Please remember this is a NATIONAL memorial to mark the 150th anniversary of England's worst mining disaster, in which 361 Men and Boys lost their lives. 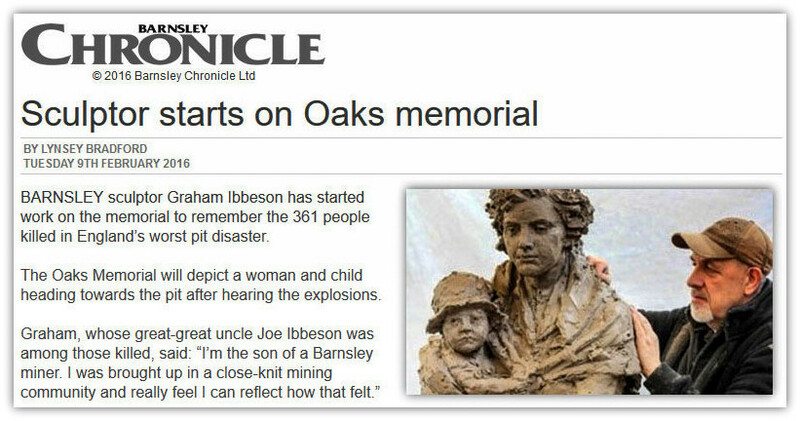 Wales and Scotland both have National memorials to their worst mining disasters, as yet England doe's not. We cannot allow this anniversary to pass unnoticed. 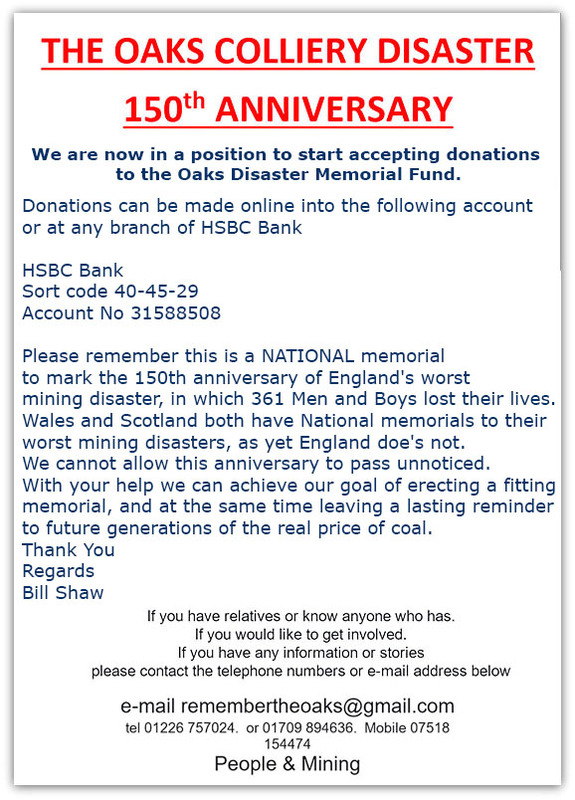 With your help we can achieve our goal of erecting a fitting memorial, and at the same time leaving a lasting reminder to future generations of the real price of coal.